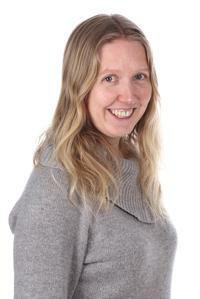 Karina Hjelmervik has been employed at the university college since June 2009. She has a phd in fluid mechanics from University of Oslo and a master degree in oceanography from University of Bergen. She is involved in several R&D projects, supervises students on all levels, and do research on fluid mechanics. Currents in the Oslofjord - Where does discharge end up? Bouhmala, N., Hjelmervik, K. & Øvergård, K. I. (2015). A Generalized Variable Neighbourhood Search For Combinatorial Optimization Problems. Electronic Notes in Discrete Mathematics, 47, 45-52. Hjelmervik, K., & Hjelmervik, K. T. (2014). Time-calibrated estimates of oceanographic profiles using empirical orthogonal functions and clustering. Ocean Dynamics, 64(5), 655-665. Tyvand, P. A., Solbakken, K. M., & Hjelmervik, K. B. (2014). Incompressible impulsive wall impact of liquid bodies. European Journal of Mechanics-B/Fluids. Hjelmervik, K. T., & Hjelmervik, K. (2013). Estimating temperature and salinity profiles using empirical orthogonal functions and clustering on historical measurements. Ocean Dynamics, 63(7), 809-821. Lynge, B. K., Hjelmervik, K., & Gjevik, B. (2013). Storm surge and tidal interaction in the Tjeldsund channel, northern Norway. Ocean Dynamics, 63(7), 723-739. Bouhmala, N., Hjelmervik, K., & Øvergård, K. I. (2012). Single vs Hierarchical Population-Based Memetic Algorithm for SAT-encoded Industrial Problems: A Statistical Comparison. International Journal of Artificial Intelligence & Applications, 3(6), 57-53. Hjelmervik, K., & Hjelmervik, K. T. (2012). Demonstration of Comparison Methods for Ocean Model Validation. Open Ocean Engineering Journal, 5, 1-14. Hjelmervik, K. B., & Trulsen, K. (2009). Freak wave statistics on collinear currents. Journal of Fluid Mechanics, 637, 267-284. Hjelmervik, K., Hjelmervik, K. T., & Østenstad, P. (2015, May). Estimation of oceanographic profiles and climatological regions in the Barents Sea. In OCEANS-Genova, 2015 MTS/IEEE. IEEE. Hjelmervik, K. & Schøyen, H. (2015, May). Correlation between coastal tides and the speed of commercial vessels. In OCEANS-Genova, 2015 MTS/IEEE. IEEE. Bouhmala, N., Hjelmervik, K., & Øvergård, K. I. (2013, October). Hybrid of evolutionary algorithm and multilevel paradigm to solve the satisfiability problem. In Industrial Engineering and Systems Management (IESM), Proceedings of 2013 International Conference on (pp. 1-4). IEEE. Bouhmala, N., Hjelmervik, K., & Øvergård, K. I. (2013, October). Combining an Evolutionary Algorithm With The Multilevel Paradigm For The Simulation Of Complex System. In 27th European Conference on Modeling and Simulation, ECMS (pp. 753-757). IEEE. Hjelmervik, K. T., & Hjelmervik, K. (2013, June). Improved estimation of oceanographic climatology using empirical orthogonal functions and clustering. In OCEANS-Bergen, 2013 MTS/IEEE (pp. 1-5). IEEE. Hjelmervik, K., Nordby, S., and Staalstrøm, A. (2014, November) Simulated tides in the Oslofjord – Three different harbour designs in Moss (in Norwegian). ISBN 978-82-577-6452-4, NIVA-rapport (6717). Hjelmervik, K. & Trulsen, K. (2008) Current modified nonlinear Schrödinger equations. Preprint, UiO. Ommundsen, A., Hjelmervik, K. & Gjevik, B. (2008) Tides in Tjeldsund-Ramsund, 1.-3. november 2005. (In Norwegian) Norwegian Defence Research Establishment. Hjelmervik, K., Ommundsen, A. & Gjevik, B. (2006) Model simulations of tide in Tjeldsundet og Ramsundet. (In Norwegian) Preprint, UiO. Hjelmervik, K., Ommundsen, A. & Gjevik, B. (2005) Implementation of non-linear advection terms in a high resolution tidal model. Preprint, UiO. Hjelmervik, K.T., Østenstad, P. & Hjelmervik, K. (2015, June) Assessing acoustic sensitivity to oceanographic variability using climatology. 3rd Underwater Acoustics Conference and Exhibition (UACE2015), Crete, Greece. Hjelmervik, K., Hjelmervik, K.T. & Østenstad, P. (2015, May) Estimation of oceanographic profiles and climatological regions in the Barents Sea. IEEE Oceans, Genova, Italy. Hjelmervik, K. & Schøyen, H. (2015, May) Correlation between costal tides and the speed of commercial vessels. IEEE Oceans, Genova, Italy. Hjelmervik, K., Røed, L.P., Kristensen, N.M., Gusdal, Y., Staalstrøm, A., Isachsen, P. & Müller, M. (2014, May) Refined ocean models for the Oslofjord systems. Joint Numerical Sea Modelling Group Conference (JONSMOD), Brussel, Belgium. Hjelmervik, K.T. & Hjelmervik, K. (2014, February) Sensitivity of sonar performance to oceanographic variability. 37th Scandinavian Symposium on Physical Acoustics, Geilo, Norway. Hjelmervik, K. & Hjelmervik, K. T. (2013, June) Estimating time-calibrated 3D climatology for ocean model validation. 5th International Workshop on Modeling the Ocean (IWMO), Bergen, Norway. Hjelmervik, K., Gjevik, B., & Lynge, B. K. (2013, June) Modelling of tides and storm surges in the Tjeldsund channel. 5th International Workshop on Modeling the Ocean (IWMO), Bergen, Norway. Bouhmala, N., Hjelmervik, K., & Øvergård, K. I. (2013, May) Combining evolutionary algorithm with the multilevel paradigm for the simulation of complex system. 27th European Conference on Modelling and Simulation, Ålesund, Norway. Hjelmervik, K.T. & Hjelmervik, K. (2013, June) Improved estimation of oceanographic climatology using empirical orthogonal functions and clustering.” IEEE Oceans, Bergen, Norway. Hjelmervik, K. & Hjelmervik, K. T. (2013, February) Underwater climatology estimates using empirical orthogonal functions and K-means clustering.” 36th Scandinavian Symposium on Physical Acoustics, Geilo, Norway. Hjelmervik, K. & Hjelmervik, K. T. (2012, May) Classification of water masses using empirical orthogonal functions.” Joint Numerical Sea Modelling Group Conference (JONSMOD), Brest, France. Hjelmervik, K. & Hjelmervik, K. T. (2010, October) Ocean model validation methods. Maritime Rapid Environmental Assessment Conference (MREA), Lerici, Italy. Hjelmervik, K. & Trulsen, K. (2008, August) Extreme waves on current jets – are they freak? Rogue Waves 2008, Brest, France. Hjelmervik, K. & Trulsen, K. (2008, April) Freak waves on collinear current jets. European General Assembly (EGU), Vienna, Austria. Hjelmervik, K., Ommundsen, A. & Gjevik, B. (2007, January) Model simulations of tidal currents in Tjeldsundet and Ramsundet, northern Norway. NORMOD, Trondheim. Hjelmervik, K. (2006, November) When water is affected by the moon, sun, and wind. KoMiN – conference for students in mathematics, Trondheim.